As of this moment, we’re 115% funded and adding some stretch goals to our campaign. We asked again what people wanted, and they said: WE WANT MORE MAPS! 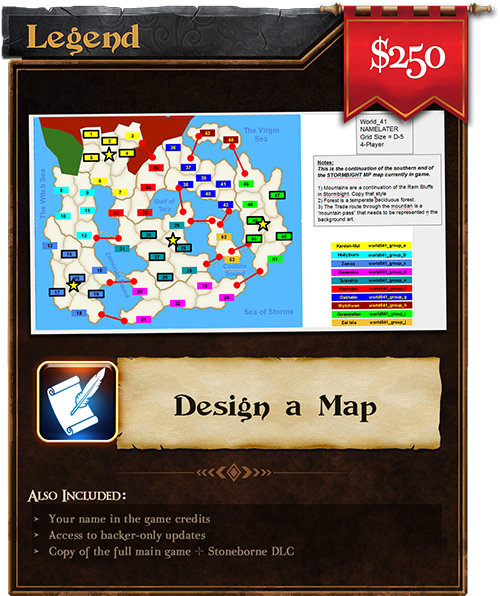 And since we’re adding more maps, we are also adding 5 more slots to the Legends reward tier ($250) wherein YOU can work together with our game designer to create a map, design how it looks and plays, and name everything in it! 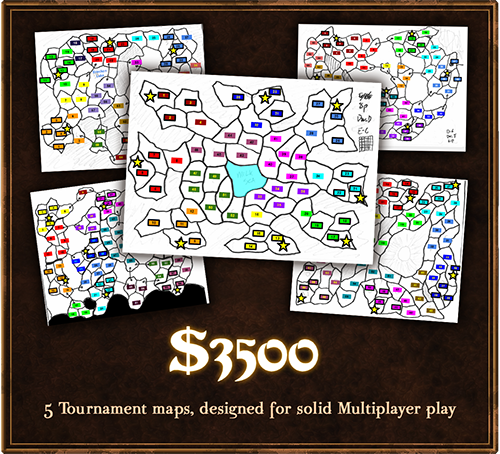 ← Kickstarter Update: [Day 3] WE ARE FUNDED! Stretch goals?